Let's have some fun and shoot!!!! A great opportunity to talk and photograph with your fellow photographers. The weather forecast is clear so if you are looking for moody bring your filters. This is not an instructional meeting, this is a get together, you may learn a thing or two as well! 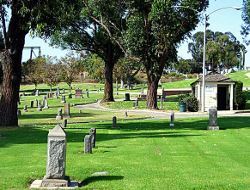 Parking: Street or at the park adjacent to the Cemetery on the corner of Willow and Orange.